Mahindra had earlier reveals plans of launching the SsangYong Tivoli in India. The compact SUV would have been positioned above the TUV 300 and the Nuvosport in India. Due to the very weak demand for the SsangYong brand in the country, Mahindra decided to go against the decision. 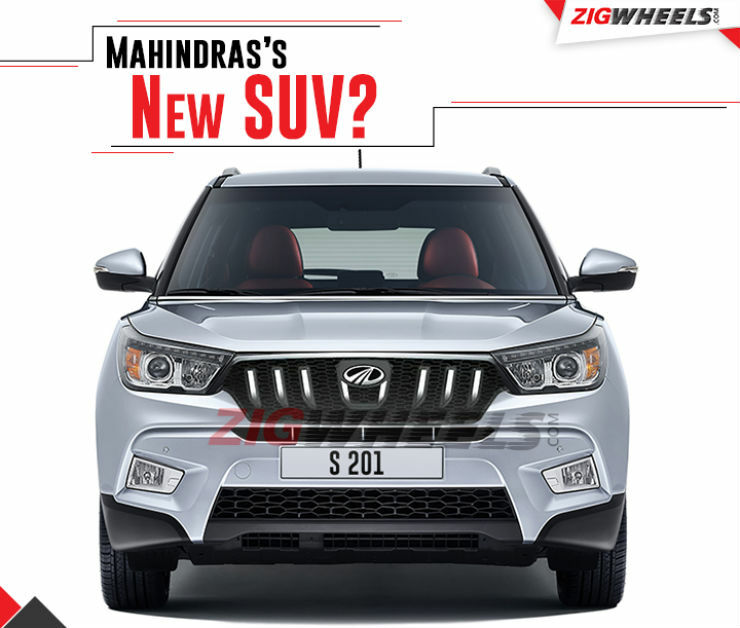 Mahindra is now working on S201 compact SUV that will rival the likes of Maruti Vitara Brezza and the Ford Ecosport. Here are details. The new compact SUV S201 will be a brand new compact SUV that will be positioned below the Mahindra’s flagship, XUV 500 in India. Mahindra is developing the new vehicle in-house, and it will be cheaper than the price of Tivoli. However, the S201 will share the same platform as the Tivoli. Mahindra has also said that the new SUV is not a rebadging job, and it will look quite different from the Tivoli. Mahindra has the luxury of using the services of design houses like Pininfarina, SsangYong and its design house in Chennai. The S201 will get the expertise of recently acquired Pininfarina, and the vehicle will get a very premium appeal. The new car will be developed at Mahindra Research Valley situated in Chennai. The research centre played a significant role in the making of TUV 300, KUV 100 and recent iteration of the XUV 500. Mahindra is currently developing a new generation of petrol engines with SsangYong. There will be a 1.2-litre, 1.5-litre and 2.0-litre petrol engines but the S201 is more likely to be powered by the 1.5-litre petrol engine out of the three. For the diesel variants, Mahindra may put a re-tuned avatar of the 1.5-litre twin-scroll diesel engine that also powers the TUV300. Will it be feature rich? Mahindra vehicles have always offered decent feature list, and this one will be no different. Mahindra is working on new-age features like infotainment system with Android Auto and Apple CarPlay connectivity, wireless charging, assistive driving and more. With the competition in the segment becoming stiffer with each passing day, Mahindra is likely equip the S201 generously to attract the buyers. The car is expected to feature ambient lighting, wireless charging, new infotainment system, pre-collision braking on the higher-end variants. The car will also get standard airbag and ABS to meet the new BNSVAP standards. But Mahindra already has the NuvoSport and TUV 300? Yes, they do, but as we know, NuvoSport is spiced up Quanto and does not have the visual appeal to capture the market where cars like EcoSport and Brezza are present. Both vehicles are ladder frame equipped while the new compact SUV will feature a monocoque chassis. The TUV300, on the other hand, looks rough and tough and does not have the refinement to appeal the mass segment buyers. The new S201 will be premium, refined and will have an attractive price tag. Mahindra will hope to recreate the success of XUV500 in the compact SUV segment. OK, when will it launch? Mahindra is still in the development stage of the vehicle and the launch can take a year or two. The new vehicle will be made at Mahindra’s Chakan plant. The prototype testing should start in about a year and the production of the vehicle should happen sometime in late 2018. The car will be positioned between Scorpio and XUV500 in the market.